A recent New York Times opinion piece, “A Crisis at the End of Science,” raises the somewhat-unexpected question of whether “physicists need empirical evidence to confirm their theories.” This is unexpected because empirical confirmation has been the foundation of the natural sciences since the beginnings of modern science. If someone’s theories and claims can’t be empirically tested and confirmed, then those theories and claims have no right to be called science. But the standard model is a bit of a dead end, since it offers no means of uniting its vision of the world with Einstein’s theory of gravity. The favored theory to unite them is something called “supersymmetry.” No need to get bogged down in the details. The point is that to date supersymmetry remains unconfirmed. The collider has produced no evidence to validate its claims. Some physicists, then, want to hang on to the theory despite its lack of confirming evidence, claiming that the relevant particles may simply lie beyond detection of the Hadron, etc. Here’s where the essay becomes interesting to me. The authors say at this point: “Implicit in such a maneuver is a philosophical question: How are we to determine whether a theory is true if it cannot be validated experimentally?” What, philosophy mentioned in an article about theoretical physics, and written, no less, by two physicists (Frank is a professor of astrophysics at Rochester University, and Gleiser is a professor of physics and astronomy at Dartmouth)?! Forgive my sarcasm, but it’s true that many in the natural sciences are dismissive of philosophy, and I’m always a bit irritated when those in the natural sciences run up against philosophical questions without acknowledging them as such (and I’m rather bemused at some of the wild speculations that go off the deep end in theoretical physics about time travel, parallel universes, etc., since these are clearly metaphysical speculations). Anyway, Frank and Gleiser are correct: questions about knowledge and what makes a theory viable are epistemological questions, which makes them philosophical in nature. A bit of explanation. Let’s take the tale about Newton and the apple. He sees objects heavier than air falling, being drawn to the earth, and he wonders why this happens. To answer the question he theorizes the universal law of gravitation: “any two bodies in the universe attract each other with a force that is directly proportional to the product of their masses and inversely proportional to the square of the distance between them.” This is a first-order question and answer about natural phenomena and falls squarely within the realm of the natural sciences. However, I can step back ask certain second-order questions: “What counts as evidence for or against any particular theory?” “Under what conditions is a theory confirmed?” “Must a theory be falsifiable in principle in order to be valid?” When I ask such questions I’m engaging in epistemology, the study of knowledge, and so I’m properly doing philosophy. 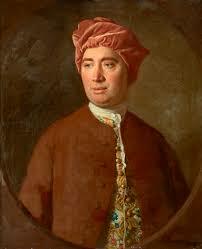 Let me conclude with some discussion of David Hume, who’s been on my mind a lot recently. Hume was quite taken with the Newtonian “experimental method” of observation of natural phenomena and sought to employ it in his own philosophical researches. But he had sharp criticisms for Newton and some of Newton’s followers like John Locke and Samuel Clarke, when they left the realm of what was experiential and observable. All three were theists and sought to posit and argue for the existence of God in addition to (or perhaps in spite of) their rigorous thinking regarding the natural world.